The brotherhood of the centaurs is strong this 2019 season! Coming fresh off a successful 2018, with an appearance in the ERU finals, the Centaurs are looking towards another successful year. The only question is: will you be a part of it? 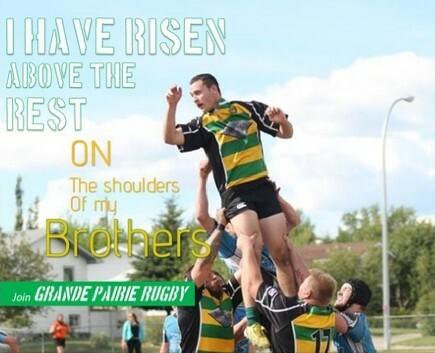 ​Senior Men's Rugby is now accepting registrations for 2019. We practice Tuesday and Thursday from 6:30 to 8:30, with games most Saturdays (see our schedule for details). 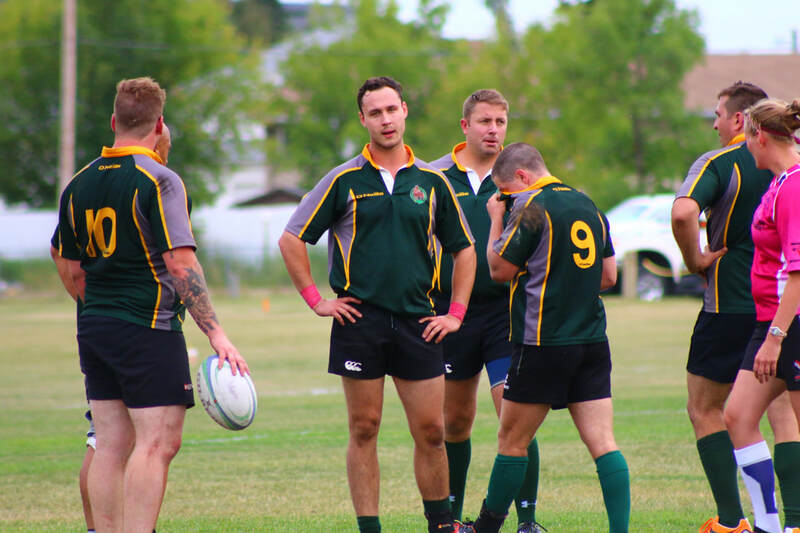 Following the 2012 provincial championship in the Edmonton Rugby Union (ERU) Men's 2nd Division, the Centaurs have consistently built their teams with younger players whilst losing some of their senior players to retirement of the sport or relocating. In 2013, after losing a few senior members from the team, the Centaurs entered the Union with only a Men's 3rd Division team. This team, mixed with many old and many new faces took off into the playoffs and ended up with a city championship by the end of the season! Since then, the Centaurs have been taking in many new and younger players from right out of high-school and players from differing regions. Since 2013, these teammates have been on a journey with each other, finding ways to improve their rugby skills and habit. For 2016, the Centaurs seemed to be at one of it's low points. With only 3 wins to their name the entire season, the Centaurs vowed in the off season to make a drastic change in their game the following season! And change they did! For the 2017 season, the teams had a strong season record, and though were less successful in the playoffs, the 2018 season saw even greater success. Though faced with a tough decision at the beginning of the year to move to just a 2nd Division team, the group had a strong run capped off by an appearance in the ERU Final.